AT&T Government Solutions Inc., Vienna, Virginia (FA8732-15-D-0031); BAE Systems Information Solutions Inc., McLean, Virginia (FA8732-15-D-0033); Booz Allen Hamilton Inc., McLean, Virginia (FA8732-15-D-0034), Computer Sciences Corp., Falls Church, Virginia (FA8732-15-D-0036); Federal Network Systems LLC, Chantilly, Virginia (FA8732-15-D-0037); General Dynamics Information Technology Inc., Needham, Massachusetts (FA8732-15-D-0038); Harris IT Services Corp., Herndon, Virginia (FA8732-15-D-0039); HP Enterprise Services LLC, Herndon, Virginia (FA8732-15-D-0040); IBM U.S. Federal, Reston, Virginia (FA8732-15-D-0041); LGS Innovations LLC, High Point, North Carolina (FA8732-15-D-0042); Lockheed Martin Corp., Rockville, Maryland (FA8732-15-D-0043); L-3 National Security Solutions Inc., Reston, Virginia (FA8732-15-D-0044); NCI Information Systems Inc., Reston, Virginia (FA8732-15-D-0045); Northrop Grumman Systems Corp., McLean, Virginia (FA8732-15-D-0046); NextiraOne Federal LLC, doing business as Black Box Network Services, Herndon, Virginia (FA8732-15-D-0035); Raytheon Co., Dulles, Virginia (FA8732-15-D-0047); Science Applications International Corp., McLean, Virginia (FA8732-15-D-0048); SRA International Inc., Fairfax, Virginia (FA8732-15-D-0049); Telos Corp., Ashburn, Virginia (FA8732-15-D-0050); and URS Federal Services Inc., Germantown, Maryland (FA8732-15-D-0030), are being awarded a $7,910,000,000 multiple-award, indefinite-delivery/indefinite-quantity contract for Network-Centric Solutions-2 (NETCENTS-2) network operations and infrastructure solutions. This contract vehicle will provide a wide range of services and solutions that support existing legacy infrastructure, networks, systems, and operations, as well as evolving the infrastructure, networks, systems and operations to comply with the Air Force enterprise architecture. It is the network operations, full and open, indefinite-delivery/indefinite-quantity contract vehicle for Air Force users as well as other Department of Defense and federal agencies. This contract vehicle is the mandatory source for all Air Force units purchasing services that fall under the scope of the contract. The location of performance is not known at this time and will be cited on individual task orders. The initial ordering period is three years. This award is the result of a competitive acquisition with 21 offers received. NETCENTS-2 is a set of five categories of contract capabilities spanning netcentric products, network operations and infrastructure solutions, applications services, enterprise integration and service management, and information technology professional services. The contracting activity is Air Force Life Cycle Management Center, Maxwell Air Force Base-Gunter Annex, Alabama. General Electric – Aviation, Cincinnati, Ohio, has been awarded a $105,000,000 modification (P00012) to previously awarded contract FA8650-09-D-2922 to cover the potential award of the Adaptive Engine Technology Development order. This additional research and the resulting data will further mature aircraft engine technologies and decrease risk to achieve a system level preliminary design review and subsequent Adaptive Engine Research Design compatibility review. Work will be performed at Cincinnati, Ohio, and is expected to be complete by Nov. 3, 2016. Funds will be obligated if additional in-scope work is awarded. Air Force Research Laboratory, Wright-Patterson Air Force Base, Ohio, is the contracting activity. Pratt & Whitney – Military Engines, East Hartford, Connecticut, has been awarded a $105,000,000 modification (P00011) to previously awarded contract FA8650-09-D-2923 to cover the potential award of the Adaptive Engine Technology Development order. This additional research and the resulting data will further mature aircraft engine technologies and decrease risk to achieve a system level preliminary design review and subsequent Adaptive Engine Research Design compatibility review. Work will be performed at East Hartford, Connecticut, and is expected to be complete by Nov. 12, 2017. Funds will be obligated if additional in-scope work is awarded. Air Force Research Laboratory, Wright-Patterson Air Force Base, Ohio, is the contracting activity. TASC, Andover, Massachusetts, has been awarded a $66,991,234 cost-plus-incentive-fee, firm-fixed-price and cost-plus-fixed-fee contract for system engineering and integration technical support. Contractor will provide horizontal integration, test and verification across the Enterprise; maintain and evolve technical baseline; and perform additional systems engineering tasks and analyses. Work will be performed at Los Angeles Air Force Base, California, and is expected to be complete by Nov. 11, 2021. This award is the result of a competitive acquisition with three offers received. Fiscal 2015 research, development, test and evaluation and procurement funds in the amount of $8,455,000 are being obligated at the time of award. The Space and Missile Systems Center, Los Angeles Air Force Base, California, is the contracting activity (FA8807-15-C-0005). Insight Public Sector, Tempe, Arizona, is being awarded a potential $156,106,996 fixed-price blanket purchase agreement under the Department of the Navy Enterprise Software Licensing Initiative to provide the renewal of existing software assurance and new Microsoft software licenses. The enterprise-wide agreement is for the Department of the Navy to include the Marine Corps. 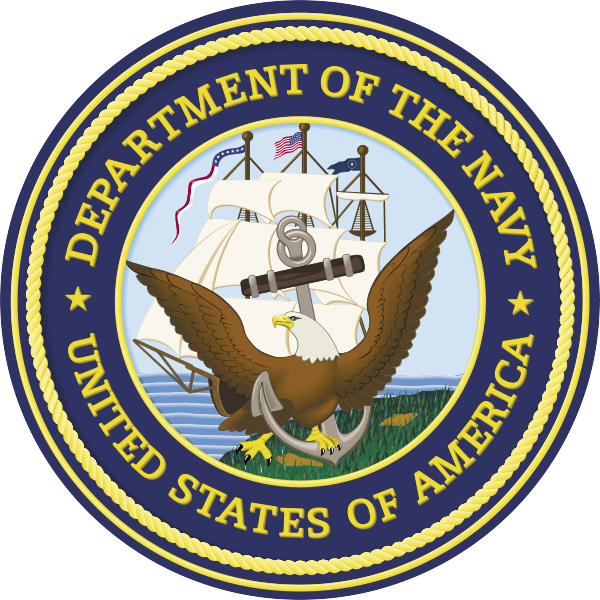 The resulting award will be subject to the Department of Navy policy entitled “Mandatory Use of Department of the Navy Enterprise Licensing Agreements.” This three-year agreement includes one base year and two one-year option periods, which if exercised, will bring the total to a potential $543,720,000. Work will be performed in Tempe, Arizona. Work is expected to be completed May 31, 2016. If options are exercised, work will continue through May 31, 2018. This agreement will not obligate funds at the time of award. Blanket purchase agreement orders will be placed by requiring activities as needed during the ordering period. The types of funding to be obligated include operations and maintenance (Navy), other procurement (Navy), and research, development, test and evaluation. This agreement was competitively procured under a brand name only justification in accordance with FAR 8.405-6 via the General Services Administration Federal Supply Schedule 70. Five quotations were received and one was selected for award. The Space and Naval Warfare Systems Center Pacific, San Diego, California, is the contracting activity (N66001-15-A-0001). KOAM Engineering Services, San Diego, California, is being awarded a three-year $61,836,881 cost-plus-fixed-fee contract to provide technical expertise to the Network Integration Engineering Facility, providing unique and reliable packaging, integration, environmental qualification design and testing, deployment, and life cycle support for command, control, communications, computers, and intelligence (C4I) electronic and computer systems used by the Department of Defense and other agencies. The contract will also provide engineering, design and packaging of commercial-off-the-shelf and government-off-the-shelf products for military applications. Work will be performed in San Diego, California, and work is expected to be completed May 14, 2018. No funds are being obligated at the time of award. Contract funds will not expire at the end of the current fiscal year. This contract was competitively procured as a 100 percent set-aside for small businesses via the Space and Naval Warfare Systems Command e-Commerce website and the Federal Business Opportunities website, with five offers received and one was selected for award. The Space and Naval Warfare Systems Center Pacific, San Diego, California, is the contracting activity (N66001-15-D-0262). Airborne Tactical Advantage Co., Newport News, Virginia, is being awarded a $41,755,853 firm-fixed-price, cost reimbursement, indefinite-delivery/indefinite-quantity contract in support of the Contracted Air Services program, which provides contractor-owned and -operated Type III High Subsonic and Type IV Supersonic aircraft to Navy fleet customers for a wide variety of airborne threat simulation capabilities. This provides training for shipboard and aircraft squadron weapon systems operators and aircrew. Work will be performed in Newport News, Virginia (45 percent); Pt. Mugu, California (35 percent); and various locations outside the continental U.S. (20 percent), and is expected to be completed in May 2016. Fiscal 2015 operations and maintenance (Navy) funds in the amount of $5,206,207 will be obligated at time of award, all of which will expire at the end of the current fiscal year. This contract was competitively procured via electronic request for proposals; four offers were received. The Naval Air Systems Command, Patuxent River, Maryland, is the contracting activity (N00019-15-D-0026). BAE Systems San Diego Ship Repair, San Diego, California, is being awarded a $36,956,038 modification to previously awarded contract (N00024-11-C-4400) for USS Lake Champlain (CG 57) fiscal 2015 selected restricted availability with emergent docking. A selected restricted availability includes the planning and execution of depot-level maintenance, alterations, and modifications that will update and improve the ship’s military and technical capabilities. Work will be performed in San Diego, California, and is expected to be completed by February 2016. Fiscal 2015 operations and maintenance (Navy) and fiscal 2015 other procurement (Navy) funding in the amount of $36,956,038 will be obligated at time of award and contract funds will expire at the end of the current fiscal year. The Southwest Regional Maintenance Center, San Diego, California, is the contracting activity. General Dynamics NASSCO-Norfolk, Norfolk, Virginia, is being awarded a $36,432,599 firm-fixed-price with award fee contract for execution of USS Mitscher (DDG 57) extended selected restricted availability with docking (ESRA(d)). The availability will include a combination of maintenance, modernization, and repair of USS Mitscher (DDG 57). General Dynamics NASSCO-Norfolk will provide the facilities and human resources capable of completing, coordinating, and integrating multiple areas of ship maintenance, repair, and modernization the ESRA(d). This contract includes options which, if exercised, would bring the cumulative value of this contract to $40,337,098. Work will be performed in Norfolk, Virginia, and is expected to be completed by March 2016. Fiscal 2015 operations and maintenance (Navy); fiscal 2014 and 2015 other procurement (Navy), and fiscal 2015 weapons procurement (Navy) funding in the amount of $36,432,599 will be obligated at the time of award. Funding in the amount of $22,397,384 will expire at the end of the current fiscal year. This contract was competitively procured via the Federal Business Opportunities website, with two offers received. The Naval Sea Systems Command, Washington, District of Columbia, is the contracting activity (N00024-15-C-4406). Linear Photonics, Hamilton, New Jersey, is being awarded a $7,507,518 indefinite-delivery/indefinite-quantity, firm-fixed-price contract for spare parts to be used in the Surface Electronic Warfare Improvement Program block 2. AN/SLQ-32(V)6 was developed as part of the Navy’s Surface Electronic Warfare Improvement Program, which is an upgrade to the AN/SLQ-32 electronic warfare anti-ship missile defense system. Work will be performed in Hamilton, New Jersey, and is expected to be completed by August 2015. Fiscal 2014 and 2015 other procurement (Navy) funding in the amount of $549,255 will be obligated at time of award. Contract funds will not expire at the end of the current fiscal year. This contract was not competitively procured in accordance with FAR 6.302-1-only one responsible source and no other supplies or services will satisfy agency requirements. The Naval Surface Warfare Center, Crane Division, Crane, Indiana, is the contracting activity (N00164-15-D-WM70). Cummins Power Generation, Minneapolis, Minnesota, was awarded an $85,000,000 firm-fixed-price indefinite-delivery/indefinite-quantity contract for advanced medium-sized mobile power source generator sets. Funding and work location will be determined with each order with an estimated completion date of June 14, 2016. One bid was solicited with one received. Army Contracting Command, Alexandria, Virginia, is the contracting activity (W909MY-15-D-0010). CACI-ISS Inc., Chantilly, Virginia, was awarded a $32,026,550 cost-plus-incentive-fee incrementally funded contract with options as a follow-on to contract W15QKN-15-C-0003, that was terminated for convenience on March 27, 2015. The present contract is to procure a system integrator to develop and implement Increment II (release 2 through 5) of the Integrated Personnel and Pay System – Army (IPPS-A). Work will be performed in Alexandria, Virginia, with an estimated completion date of May 17, 2020. Bids were solicited via the Internet with three received. Fiscal 2014 and 2015 research, development, testing, and evaluation funds in the amount of $32,026,550 were obligated at the time of the award. Army Contracting Command, Picatinny Arsenal, New Jersey, is the contracting activity (W15QKN-15-C-0049). Dillon Aero,* Scottsdale, Arizona, was awarded a $13,987,456 firm-fixed-price multi-year indefinite-delivery/indefinite-quantity contract for spare parts for the M134D weapons system in support of the CH-47, UH-60, MI-17, and OH-6 helicopters. Funding and work location will be determined with each order with an estimated completion date of May 15, 2018. Bids were solicited via the Internet with one received. Army Contracting Command, Warren, Michigan, is the contracting activity (W56HZV-15-D-0055). Raytheon Co., Woburn, Massachusetts, was awarded an $11,447,356 modification (P00030) to contract W9113M-13-C-0009 for surveillance system supply and support of the Rapid Aerostat Initial Deployment System. Work will be performed in Woburn, Massachusetts, with an estimated completion date of Dec. 30, 2015. Fiscal 2015 operations and maintenance (Army) funds in the amount of $4,235,000 were obligated at the time of the award. Army Space and Missile Command, Huntsville, Alabama, is the contracting activity. Gunter Construction Inc.,* Sulphur, Louisiana, was awarded a $6,843,415 firm-fixed-price multi-year contract with options for road repair at Ft. Polk, Louisiana, with an estimated completion date of May 14, 2018. Bids were solicited via the Internet with six received. Funding will be determined with each order. Army Contracting Command, Ft. Bragg, North Carolina, is the contracting activity (W91247-15-D-0002). By Light Professional IT Services Inc., Arlington, Virginia, was awarded a $15,417,372 firm-fixed-price contract for a 10-year indefeasible right of use of dark fiber. Work will be performed at locations throughout the continental United States, with an estimated completion date of December 2025. Fiscal 2014 procurement funds in the amount of $15,417,372 are being obligated at award. This solicitation was issued as a full and open competition on the Federal Business Opportunities website, and four proposals were received. The Defense Information Technology Contracting Organization, Scott Air Force Base, Illinois, is the contracting activity (HC1013-15-C-0005). BAE Systems Land & Armaments LP, York, Pennsylvania (W56HZV-15-D-KB01); Baum, Romstedt Technology Research Corp., Vienna, Virginia (W56HZV-15-D-KB02); Booz Allen Hamilton Inc., McLean, Virginia (W56HZV-15-D-KB03); CALIBRE Systems Inc., Alexandria, Virginia (W56HZV-15-D-KB04); Camber Corp., Huntsville, Alabama (W56HZV-15-D-KB05); D & S Consultants Inc., Eatontown, New Jersey (W56HZV-15-D-KB06); DCS Corp., Alexandria, Virginia (W56HZV-15-D-KB07); IBM, Reston, Virginia (W56HZV-15-D-KB09); Jacobs Technology Inc., Fort Walton Beach, Florida (W56HZV-15-D-KB10); Mantech Advanced Systems International Inc., Fairfax, Virginia (W56HZV-15-D-KB11); PD Systems Inc., Alexandria, Virginia (W56HZV-15-D-KB12); SAIC, McLean, Virginia (W56HZV-15-D-KB13); Strategic Resources Inc., McLean, Virginia (W56HZV-15-D-KB14); URS Federal Services Inc., Germantown, MD (W56HZV-15-D-KB15); Vencore Services and Solutions Inc., Reston, Virginia (W56HZV-15-D-KB16); Wyle Laboratories Inc., Huntsville, Alabama (W56HZV-15-D-KB17); Accent Controls Inc., Riverside, Missouri (W56HZV-15-D-KB18); C2D JV, Goleta, California (W56HZV-15-D-KB19); DS3 Solutions LLC, Layton, Utah (W56HZV-15-D-KB20); DUCOM Inc., Silver Spring, Maryland (W56HZV-15-D- KB21); FEDITC LLC,* Rockville, Maryland (W56HZV-15-D-KB22); Middle Bay Solutions LLC,* Huntsville, Alabama (W56HZV-15-D-KB23); Northwind-Jacobs JV, Shelocta, Pennsylvania (W56HZV-15-D-KB24); Tecmasters Inc.,* Huntsville, Alabama (W56HZV-15-D-KB25); United Support Services LLC,* Lawrence, Massachusetts (W56HZV-15-D-KB26); and WS3 LLC,* Warren, Michigan (W56HZV-15-D-KB27) were awarded a $1,800,000,000 indefinite-delivery/indefinite-quantity, order dependent contract for knowledge based service-type requirements. Funding and work location will be determined with each order with an estimated completion date of May 13, 2023. Bids were solicited via the Internet with 35 received. Army Contracting Command, Warren, Michigan, is the contracting activity. Army Fleet Support LLC, Fort Rucker, Alabama (W56HZV-15-D-ER01); BAE Systems Land & Armaments LP, York, Pennsylvania (W56HZV-15-D-ER02); Baum, Romstedt Technology Research Corp., Vienna, Virginia (W56HZV-15-D-ER03); Booz Allen Hamilton Engineering Services LLC, Linthicum, Maryland (W56HZV-15-D-ER04); DUCOM Inc., Silver Spring, Maryland (W56HZV-15-D-ER05); DynCorp International LLC, McLean, Virginia (W56HZV-15-D-ER06); Vectrus Systems Corp., Colorado Springs, Colorado (W56HZV-15-D-ER07); Honeywell Technology Solutions Inc., Columbia, Maryland (W56HZV-15-D-ER08); Jacobs Technology Inc., Ft Walton Beach, Florida (W56HZV-15-D-ER09); Lockheed Martin Corp., Orlando, Florida (W56HZV-15-D-ER10); Mantech Advanced Systems International Inc., Fairfax, Virginia (W56HZV-15-D-ER11); PD Systems Inc., Alexandria, Virginia (W56HZV-15-D-ER12); Qualis Corp., Huntsville, Alabama (W56HZV-15-D-ER13); SAIC, McLean, Virginia (W56HZV-15-D-ER14); Strategic Resources Inc., McLean, Virginia (W56HZV-15-D-ER15); Systems Products and Solutions Inc., Huntsville, Alabama (W56HZV-15-D-ER16URS Federal Services Inc. Germantown, Maryland (W56HZV-15-D-ER17); VSE Corp., Alexandria, Virginia (W56HZV-15-D-ER18); Integrated Logistics Solutions Inc., Huntsville, Alabama (W56HZV-15-D-ER19); and SFS Global/Tiburon JV, Susanville, California (W56HZV-15-D-ER20) were awarded a $1,100,000,000 order-dependent multiple award task order contract indefinite-delivery/indefinite-quantity contract for equipment related services. Funding and work location will be determined with each order with an estimated completion date of May 13, 2023. Bids were solicited via the Internet with 24 received. Army Contracting Command, Warren, Michigan, is the contracting activity. Alion Science and Technology Corp., Burr Ridge, Illinois (W56HZV-15-D-RD01); Booz Allen Hamilton, McLean, Virginia (W56HZV-15-D-RD02); DCS Corp., Alexandria, Virginia (W56HZV-15-D-RD03); Jacobs Technology Inc., Fort Walton Beach, Florida (W56HZV-15-D-RD04); Raytheon Co., McKinney, Texas (W56HZV-15-D-RD05); SAIC, McLean, Virginia (W56HZV-15-D-RD06); VSE Corp., Alexandria, Virginia (W56HZV-15-D-RD07); CDQ JV, Goleta, California (W56HZV-15-D-RD08); FEDITC LLC,* Rockville, Maryland (W56HZV-15-D-RD09); Hodges Transportation Inc.,* Silver Springs, Nevada (W56HZV-15-D-RD10); Loc Performance Products Inc.,* Plymouth, Michigan (W56HZV-15-D-RD11); Middle Bay Solutions LLC,* Huntsville, Alabama (W56HZV-15-D-RD12); Northwind-Jacobs JV, Shelocta, Pennsylvania (W56HZV-15-D-RD13); PD Systems Inc.,* Alexandria, Virginia (W56HZV-15-D-RD14); Quantum Research International Inc.,* Huntsville, Alabama (W56HZV-15-D-RD15); Select Engineering Services, doing business as Mark. G. Miller Inc.,* Layton, Utah (W56HZV-15-D-RD16); The Service Engineering Co. LLC,* Belcamp, Maryland (W56HZV-15-D-RD17); Waltonen Engineering Inc.,* Warren, Michigan (W56HZV-15-D-RD18); WestWind Aerospace Inc.,* Huntsville , Alabama (W56HZV-15-D-RD19) were awarded a $634,000,000 firm-fixed-price contract for research and development (R&D) services to include services for the purpose of creating and developing new processes or products. Only for task order requirements to directly perform work that is an integral part of R&D services for the creation of new processes or products. Funding and work location will be determined with each order with an estimated completion date of May 13, 2023. Bids were solicited via the Internet with 22 received. Army Contracting Command, Warren, Michigan, is the contracting activity. SOS International, Reston, Virginia, was awarded a $36,000,000 modification (00) to contract W56KGZ-15-C-4000 for base life support at Camp Taji, Iraq, with an estimated completion date of June 30, 2015. Funding will be determined with each order. Army Contracting Command Kuwait, is the contracting activity. Southeastern Archeological Research Inc.,* Newberry, Florida, was awarded a $25,000,000 firm-fixed-price, indefinite-delivery/indefinite-quantity contract for cultural resource services. Funding and work location will be determined with each order with an estimated completion date of May 14, 2020. Bids were solicited via the Internet with seven received. Army Corps of Engineers, Mobile, Alabama, is the contracting activity (W91278-15-D-0046). Applied Resources Corp.,* Wharton, New Jersey, was awarded a $15,622,051 firm-fixed-price multi-year indefinite-delivery/indefinite-quantity contract for titanium M119A3 upper and lower spades. Funding and work location will be determined with each order. Bids were solicited via the Internet with three received. Army Contracting Command, Picatinny Arsenal, New Jersey, is the contracting activity (W15QKN-15-D-0042). M. Arthur Gensler Jr. & Associates Inc., Dallas, Texas (W912DY-15-D-0092); Gresham, Smith and Partners, Nashville, Tennessee (W912DY-15-D-0093); RLF, Orlando, Florida (W912DY-15-D-0094); and URS Group Inc., Columbus, Ohio (W912DY-15-D-0095), were awarded a $9,000,000 firm-fixed-price multi-year contract with options for interior design architecture and engineering. Funding and work location will be determined with each order with an estimated completion date of May 4, 2020. Bids were solicited via the Internet with 18 received. Army Corps of Engineers is the contracting activity. ALATEC Inc.,* Huntsville, Alabama, was awarded a $7,842,872 modification (P00003) to contract W9124Q-13-D-0003 for analytic mission support services to the Army Training and Doctrine Command Analysis Center, White Sands Missile Range, New Mexico, with an estimated completion date of May 31, 2016. Funding and work location will be determined with each order. Army Contracting Command, White Sands Missile Range, New Mexico, is the contracting activity. SAIC, McLean, Virginia, was awarded a $7,619,234 modification (003773) to foreign military sales contract W31P4Q-05-A-0031 for systems and computer resources support for the Aviation and Missile Research Development and Engineering Center, software engineering directorate, Army Research, Development and Engineering Command. Work will be performed at Redstone Arsenal with an estimated completion date of Feb. 20, 2017. Fiscal 2015 operations and maintenance (Army), other procurement, and research, development, testing, and evaluation funds in the amount of $7,619,234 were obligated at the time of the award. Army Contracting Command, Redstone Arsenal, Alabama, is the contracting activity. Pinnacle Construction Development Group Inc.,* was awarded a $7,184,335 firm-fixed-price contract to replace Taxiway C East Ramp, Wright-Patterson Air Force Base, Ohio, with an estimated completion date of Nov. 30, 2015. Bids were solicited via the Internet with four received. Fiscal 2015 military construction funds in the amount of $7,184,335 were obligated at the time of the award. Army Corps of Engineers, Louisville, Kentucky, is the contracting activity (W912QR-15-C-0011). Vectrus Systems Corp., Maxwell Air Force Base, Alabama, has been awarded a $62,221,604 firm-fixed-price incentive bridge contract for base operating support services. The contract includes, but is not limited to maintenance including foreign object damage and dropped object, resource management, communications/information technology, publishing management, civil engineering including asset management, operations and maintenance. Work will be performed at Maxwell Air Force Base, Alabama, and is expected to be complete by Nov. 14, 2016. This award is the result of a sole-source acquisition. Fiscal 2015 operations and maintenance funds in the amount of $41,628,443 are being obligated at the time of award. The 338th Specialized Contracting Squadron, Joint Base San Antonio-Randolph, Texas, is the contracting activity (FA3002-15-C-0008). BWSC/Emersion Design, Cincinnati, Ohio, has been awarded a $12,000,000 indefinite-delivery/indefinite-quantity contract for architect and engineering expertise. Contractor will provide site visits and investigations; design and economic analysis; construction drawings and specifications; and survey of facilities for asbestos containing materials and lead coatings including sampling, testing, and abatement design. It also includes detailed cost estimates and bidding schedules for each project. Work will be performed at Wright-Patterson Air Force Base, Ohio, and is expected to be complete by May 12, 2020. This award is the result of a competitive acquisition with 49 offers received. Funds will be obligated on specific task orders. The Air Force Life Cycle Management Center, Wright-Patterson Air Force Base, Ohio, is the contracting activity (FA8601-15-D-0007). AMEWAS, California, Maryland, is being awarded a $48,000,068 cost-plus-fixed-fee contract for technical support services in support of the Integrated Battlespace Simulation and Test Department. Work will be performed in Patuxent River, Maryland, and is expected to be completed in May 2016. Fiscal 2015 research, development, test and evaluation (Navy) funds in the amount of $2,000,000 will be obligated at time of award, none of which expire at the end of the current fiscal year. This contract was not competitively procured pursuant to10 U.S.C. 2304 (c) (1). The Naval Air Warfare Center Aircraft Division, Patuxent River, Maryland, is the contracting activity (N00421-15-C-0038). ManTech Systems Engineering Corp., Fairfax, Virginia, is being awarded a $21,345,857 cost-plus-fixed-fee and cost-only modification to previously awarded contract (N00024-14-C-4110) to provide specific systems operation, sustainment and support services for the Navy Ship Maintenance and Logistics Information Systems (SMLIS) program. This contract provides enterprise support to the SMLIS program, including engineering support in the areas of information technology life cycle planning, operations and sustainment, documentation, program management, application technical refresh, testing, training and deployment. These efforts are required to ensure the successful development, deployment, implementation and operation of the SMLIS program managed by NAVSEA’s program management office for information technology. This contract modification contains options which, if exercised, would bring the cumulative value of this contract to $39,364,600. Work will be performed in Norfolk, Virginia (55 percent); Mechanicsburg, Pennsylvania (10 percent); Rocket Center, West Virginia (9.1 percent); Kittery, Maine (7.1 percent); Washington, District of Columbia (6 percent); San Diego, California (5 percent); Fairfield, California (2 percent); Mayport, Florida (2 percent); Indian Head, Maryland (1 percent); and other locations less than 1 percent (2.8 percent), and is expected to be completed by November 2015. Fiscal 2015 operations and maintenance (Navy) funding in the amount of $14,869,528 will be obligated at time of award and will expire at the end of the current fiscal year. The Naval Sea Systems Command, Washington, District of Columbia, is the contracting activity. M7 Aerospace LLC, San Antonio, Texas, is being awarded a $13,354,491 modification to a previously awarded indefinite-delivery requirements contract (N00019-11-D-0002) to exercise an option for logistics support for 12 Navy/Marine Corps UC-35 aircraft and seven Navy C-26 aircraft located at nine global locations. Services to be provided include organizational and depot level maintenance, parts, support equipment maintenance, and engineering support. Work will be performed at the Pacific Missile Range Facility, Barking Sands, Hawaii (15 percent); Marine Corp Air Station (MCAS) Futenma, Japan (15 percent); Andrews Air Force Base, Maryland (10 percent); Fleet Marine Reserve Detachment, Belle Chase, Louisiana (10 percent); Naval Air Station Sigonella, Italy (10 percent); Naval Support Activity, Naples, Italy (10 percent); MCAS Miramar, California (10 percent); MCAS Cherry Point, North Carolina (5 percent); San Antonio, Texas (5 percent); Al Udeid, Qatar (5 percent); and Moron, Spain (5 percent), and is expected to be completed by February 2016. No funds are being obligated at time of award. Funds will be obligated against individual delivery orders as they are issued. The Naval Air Systems Command, Patuxent River, Maryland, is the contracting activity. Leebcor Services LLC,* Williamsburg, Virginia, is being awarded $7,100,622 for firm-fixed-price task order 0002 under a previously awarded multiple award construction contract (N69450-14-D-0759) for renovation and repairs to buildings 3701 and 3706 at Naval Air Station, Pensacola. The work to be performed provides for renovation and repairs to buildings 3701 and 3706. Building 3701 is an existing three story bachelor enlisted quarters (BEQ) structure and 3706 is an existing one story laundry facility and mechanical room. The renovations will provide the 2+0 Unit configuration to building 3701 to allow 49 units for a total of 98 berths and will upgrade the laundry facility in Building 3706 to a commercial laundry facility for BEQ housekeeping staff. The contract also contains one unexercised option, which if exercised would increase cumulative contract value to $7,788,880. Work will be performed in Pensacola, Florida, and is expected to be completed by May 2017. Fiscal 2015 operation and maintenance (Navy) contract funds in the amount of $7,100,622 are being obligated on this award and will expire at the end of the current fiscal year. Three proposals were received for this task order. The Naval Facilities Engineering Command, Southeast, Jacksonville, Florida, is the contracting activity. Lockheed Martin Corp., Palmdale, California, has been awarded a $19,454,226 cost-plus-fixed-fee modification (P00003) exercising the option period on previously awarded HR0011-14-C-0123 for the Tactical Boost Glide (TBG) program. This modification brings the total cumulative face value of the contract to $24,390,645 from $4,936,419. Fiscal 2015 research and development funds in the amount of $13,156,841 are being obligated at the time of award. The TBG program is for the development and demonstration of technologies to enable air-launched tactical range hypersonic boost glide systems. Location of performance is Grand Prairie, Texas (13 percent); King of Prussia, Pennsylvania (16 percent); and Palmdale, California, (71 percent), with an estimated completion date of May 17, 2016. 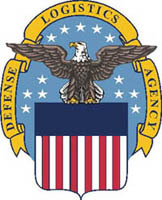 The Defense Advanced Research Projects Agency, Arlington, Virginia, is the contracting activity. Belleville Shoe Co.,** Belleville, Illinois, has been awarded a maximum $10,621,169 firm-fixed-price contract for safety boots. This was a competitive acquisition, and three responses were received. This is a one-year base contract with three one-year option periods. Location of performance is North Carolina with a May 13, 2016, performance completion date. Using service is Navy. Type of appropriation is fiscal 2015 through fiscal 2016 defense working capital funds. The contracting activity is the Defense Logistics Agency Troop Support, Philadelphia, Pennsylvania (SPE1C1-15-D-1051). SOLPAC Construction, doing business as Soltek Pacific Construction Inc., San Diego, California (N62473-15-D-2426); Straub Construction Inc., Fallbrook, California (N62473-15-D-2427); RQ Construction LLC, Carlsbad, California (N62473-15-D-2428); The Haskell Co., Jacksonville, Florida (N62473-15-D-2429); Sauer Inc., Jacksonville, Florida (N62473-15-D-2430); R. A. Burch Construction Co. Inc.,* Ramona, California (N62473-15-D-2431), Harper Construction Co. Inc., San Diego, California (N62473-15-D-2432), and Hensel Phelps Construction Co., Irvine, California (N62473-15-D-2433), are each being awarded a firm-fixed-price, indefinite-delivery/indefinite-quantity multiple award construction contract for new construction, repair, and renovation of commercial and institutional buildings and associated work at various locations within the Naval Facilities Engineering Command (NAVFAC) Southwest area of responsibility (AOR). The maximum dollar value including the base period and four option years for all eight contracts combined is $240,000,000. These eight contractors may compete for task orders under the terms and conditions of the awarded contracts. Types of projects may include, but are not limited to: administration buildings, school buildings, hospitals, auditoriums, fire stations, gymnasiums, office buildings, hangars, laboratories, and parking structures. No task orders are being issued at this time. All work on these contracts will be performed within the NAVFAC Southwest AOR including, but not limited to, California (90 percent), Arizona (6 percent), Nevada (1 percent), Colorado (1 percent), Utah (1 percent), and New Mexico (1 percent). The terms of the contracts are not to exceed 60 months, with an expected completion date of May 2020. Fiscal 2014 operation and maintenance, (Navy) contract funds in the amount of $40,000 are being obligated on this award and will expire at the end of the current fiscal year. Future task orders will be primarily funded by operation and maintenance, (Navy); working capital funds (Navy); and military construction, (Navy). This contract was competitively procured as unrestricted via the Federal Business Opportunities website with 43 proposals received. The Naval Facilities Engineering Command, Southwest, San Diego, California, is the contracting activity. Bechtel Plant Machinery Inc., Monroeville, Pennsylvania, is being awarded a $42,183,466 cost-plus-fixed-fee modification to previously awarded contract (N00024-12-C-2106) for naval nuclear propulsion components. Work will be performed in Schenectady, New York (66 percent); and Monroeville, Pennsylvania (34 percent). No completion date or additional information is provided on naval nuclear propulsion program contracts. Fiscal 2015 other procurement (Navy) contract funds in the amount of $42,183,466 will be obligated at time of award and will not expire at the end of the current fiscal year. The Naval Sea Systems Command, Washington, District of Columbia, is the contracting activity. Alutiiq Pacific LLC,* Anchorage, Alaska (N39430-13-D-1264); Securityhunter Inc.,* Baltimore, Maryland (N39430-13-D-1265); and Split Pine Technologies LLC,* Tallahassee, Florida (N39430-13-D-1266), are each being awarded option year two under a firm-fixed-price multiple award contract for physical security access control at Navy shore installations throughout the world, including joint bases assigned to the Navy. The combined total value for all three contractors is $33,000,000. The work to be performed provides for the design, procurement, installation, integration, testing and initial training for anti-terrorism force protection hardware and software at Navy shore installations throughout the world, including joint bases assigned to the Navy. The total contract amount after exercise of this option will be $99,000,000. No task orders are being issued at this time. All work will be performed at Navy shore installations throughout the world, including joint bases assigned to the Navy. Work is expected to be completed May 2016. No funds will be obligated at time of award; funds will be obligated on individual task orders as they are issued. Task orders will be primarily funded by fiscal 2015 operation and maintenance, (Navy) and fiscal 2015 other procurement, (Navy). The Naval Facilities Engineering and Expeditionary Warfare Center, Port Hueneme, California, is the contracting activity. Huntington Ingalls Inc., Pascagoula, Mississippi, is being awarded a $14,524,779 cost-plus-award-fee modification to previously awarded contract (N00024-12-C-2312) to exercise options for DDG 51 class destroyer follow yard services (FYS). The FYS provides liaison; technical support; engineering, design, and configuration management; systems engineering team and turnkey, and crew indoctrination and orientation. Work will be performed in Pascagoula, Mississippi (97 percent); Washington, District of Columbia (2 percent); and Bath, Maine (1 percent), and is expected to be completed by May 2016. Fiscal 210, 2011, and 2013 shipbuilding and conversion (Navy) funding in the amount of $13,755,927 will be obligated at time of award and will not expire at the end of the current fiscal year. The Naval Sea Systems Command, Washington, District of Columbia, is the contracting activity. Ocenco Inc.,* Pleasant Prairie, Wisconsin, is being awarded a $10,462,500 firm-fixed-price contract to provide up to 97,550 emergency escape breathing devices (EEBDS), up to 750 training units, and up to 250 EEBD instructional videos with training materials for the Extreme Environment Life Support Program. The EEBD is designed to provide respiratory and eye protection in an atmosphere that will not support life. This contract includes options which, if exercised, would bring the cumulative value of this contract to $21,962,150. Work will be performed in Pleasant Prairie, Wisconsin, and is expected to be completed in May 2020. No funding will be obligated at time of award. Contract funds will not expire at the end of the current fiscal year. This contract was competitively procured via the Federal Business Opportunities website, with two offers received. The Naval Surface Warfare Center, Panama City Division, Panama City, Florida, is the contracting activity (N61331-15-D-0020). StandardAero (San Antonio) Inc., San Antonio, Texas, is being awarded a $9,584,280 firm-fixed-price contract for depot-level maintenance and repair of the T-56 Series III propulsion system, modules, quick engine change kit and components. Depot-level repair of the T-56 Series III engine modules is required to support fielded P-3 and derivative aircraft, as well as T-56 powered C-130 and C-2 aircraft. Work will be performed in San Antonio, Texas, and is expected to be completed in September 2015. Fiscal 2015 operation and maintenance (Navy and Navy Reserve) and research, development, testing and evaluation funds (Navy) in the amount of $9,584,280 are being obligated at time of award, none of which will expire at the end of the current fiscal year. This contract was a limited competition procured pursuant to FAR 6.302-2. The Naval Air Warfare Center Aircraft Division, Lakehurst, New Jersey, is the contracting activity (N68335-15-C-0155). Evolve Technologies Corp.,* Salem, New Hampshire, has been awarded a maximum $200,000,000 firm-fixed-price, indefinite-delivery contract for commercial shelters. This was a competitive acquisition and 20 responses were received. This is a one-year base contract with three one-year option periods. Locations of performance are New Hampshire and Florida with a May 5, 2016, performance completion date. Using services are Army, Navy Air Force and Marine Corps. Type of appropriation is fiscal 2015 through fiscal 2016 defense working capital funds. The contracting activity is the Defense Logistics Agency Troop Support, Philadelphia, Pennsylvania (SPE1C1-15-D-1054). LinQuest Corp., Los Angeles, California, has been awarded a $7,884,935 cost-plus-fixed-fee contract for satellite operations support services. Contractor will provide continued uninterrupted support to five on-orbit satellite missions; and support for six satellite programs in various stages of pre-launch design and readiness. They will also provide operations expertise for upgrades and modifications to the Multi-Mission Satellite Operations Center ground system including operations and acceptance testing and mission automation efforts in support of the Air Force Space Command Enterprise Ground Initiative. Work will be performed at Kirtland Air Force Base, New Mexico, and is expected to be complete by Jan. 31, 2016. This award is the result of a sole-source acquisition. Fiscal 2015 research and development and operations and management funds in the amount of $3,067,000 are being obligated at the time of award. 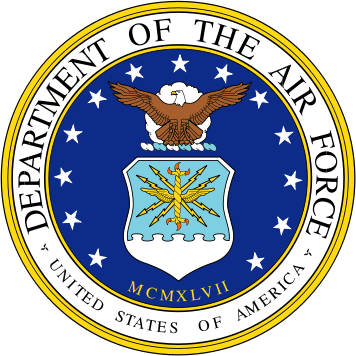 The Advanced Systems and Development Directorate, Los Angeles Air Force Base, California is the contracting activity (FA8818-15-C-0024). DMA-Mabbett JV LLC,* Vienna, Virginia, was awarded a $9,900,000 firm-fixed-price indefinite-delivery contract for architectural and engineering studies and designs including flood risk management, coastal storm damage within New York District, Corps of Engineers, and other locations within North Atlantic Division and major subordinate command boundaries. Funding and exact location will be determined with each order with an estimated completion date of April 30, 2020. Bids were solicited via the Internet with three received. Army Corps of Engineers, New York, New York is the contracting activity (W912DS-15-D-0002). Renda/J. Bros. JV, Roanoke, Texas, was awarded a $7,520,980 modification (P00002) to contract W912P8-14-C-0054 for widening the Florida Avenue Canal, Phase IV, Orleans Parish, Louisiana, with an estimated completion date of Oct. 10, 2018. Fiscal 2015 operations and maintenance (Army) funds in the amount of $7,520,980 were obligated at the time of the award. Army Corps of Engineers, New Orleans, Louisiana, is the contracting activity. Luhr Bros. Inc., Columbia, Illinois, was awarded a $7,000,000 firm-fixed-price indefinite-delivery/indefinite-quantity contract with options for dredge leasing, attendant plant, and on-shore disposal equipment for channel maintenance dredging of the Ohio River and its tributary pool areas, the Cumberland River (River Mile 0.0-105), and the Upper Mississippi River (River Mile 0.0-185.0). Funding and exact work location will be determined with each order with an estimated completion date of May 12, 2018. Bids were solicited via the Internet with one received. Army Corps of Engineers, Louisville, Kentucky, is the contracting activity (W912QR-15-D-0025). Enfield Enterprises Inc.,* Springfield, Massachusetts, was awarded a $45,000,000 firm-fixed-price contract for emergency temporary roof repairs (residential structures) in support of the Army Corps of Engineers/Federal Emergency Management Agency disaster response in the states of Alabama, Connecticut, Delaware, Florida, Georgia, Louisiana, Maine, Maryland/District of Columbia, Massachusetts, Mississippi, New Hampshire, New Jersey, New York, North Carolina, Pennsylvania, Rhode Island, South Carolina, Texas, and Virginia. Funding and work location will be determined with each order with an estimated completion date of May 31, 2020. Bids were solicited via the Internet with four received. Army Corps of Engineers, Omaha, Nebraska, is the contracting activity (W9128F-14-D-0024). Shape Construction Inc.,* Bremerton, Washington, is being awarded $7,324,829 for firm-fixed-price task order 0002 under a previously awarded multiple award construction contract (N39430-14-D-1474) for maintenance and repair of three telecommunications towers at the Naval Computer and Telecommunications Area Master Station Atlantic Detachment. The work to be performed provides for corrosion mitigation, replacing structural components, electrical repairs, tower painting, and safety upgrades of one 980-foot-high tower, and two 875-foot-high towers, N- 0, N-9, and N-11. Work will be performed in Cutler, Maine, and is expected to be completed by October 2015. Fiscal 2015 operation and maintenance (Navy) contract funds in the amount of $7,324,829 are being obligated on this award and will expire at the end of the current fiscal year. Two proposals were received for this task order. The Naval Facilities Engineering and Expeditionary Warfare Center, Port Hueneme, California, is the contracting activity. CDO Technologies,* Dayton, Ohio (W52P1J-15-D-0059); Lowry Solutions Inc.,* Brighton, Michigan (W52P1J-15-D-0060); and SRA International Inc., Fairfax, Virginia (W52P1J-15-D-0061), were awarded a $181,000,000 firm-fixed-price, indefinite-delivery/indefinite-quantity contract with options for automatic identification technology data communications, hardware, software, documentation, and incidental services, to include technical engineering services, training and warranty to authorized government users worldwide. The contractors will share the capacity. Funding and work location will be determined with each order with an estimated completion date of May 5, 2018. Bids were solicited via the Internet with three received. Army Contracting Command, Rock Island Arsenal, Illinois, is the contracting activity. Allphase Services Inc., Delray Beach, Florida (W912DY-15-D-0067); ARS Aleut Remediation LLC, Port Allen, Louisiana (W912DY-15-D-0068); ADS Trinity LLC, doing business as Atlanta Demolition, Chamblee, Georgia (W912DY-15-D-0069); North Wind Construction Services LLC, Knoxville, Tennessee (W912DY-15-D-0070); Bhate Environmental Associates Inc., Birmingham, Alabama(W912DY-15-D-0071); Central Environmental Inc., Anchorage, Alaska W912DY-15-D-0072); Charter Environmental Inc., Boston, Massachusetts (W912DY-15-D-0073); Envirocon Inc., Missoula, Montana (W912DY-15-D-0074); Environmental Remediation Services Inc., Schenectady, New York (W912DY-15-D-0075); and NorthStar Federal Services Inc., Richland, Washington (W912DY-15-D-0076), were awarded a $9,600,000 firm-fixed-price, indefinite-delivery, multiple award task order contract with options for demolition of surplus facilities. Funding and work location will be determined with each order with an estimated completion date of May 10, 2020. Bids were solicited via the Internet with 15 received. Army Corps of Engineers, Huntsville, Alabama, is the contracting activity. Trinity Fresh Distribution LLC,* Sacramento, California, has been awarded a maximum $45,000,000 fixed-price with economic-price-adjustment, indefinite-delivery/indefinite-quantity contract for fresh fruit and vegetables for customers in northern California and northwest Nevada. The maximum amount is for the life of the contract. This was a competitive acquisition and four responses were received. This is an 18-month base contract with two 18-month option periods. Location of performance is California with a Nov. 10, 2019 performance completion date. Using services are non-Department of Defense customers. Type of appropriation is fiscal 2015 through fiscal 2016 defense working capital funds. The contracting activity is the Defense Logistics Agency Troop Support, Philadelphia, Pennsylvania (SPE300-15-D-S650). Coast Citrus,* San Francisco, California, has been awarded a maximum $15,000,000 fixed-price with economic price adjustment, indefinite-delivery/indefinite-quantity contract for fresh fruit and vegetables for customers in northern California and northwest Nevada. The maximum amount is for the life of the contract. This was a competitive acquisition and four responses were received. This is an 18-month base contract with two 18-month option periods. Location of performance is California with a Nov. 10, 2019, performance completion date. Using services are Department of Defense customers. Type of appropriation is fiscal 2015 through fiscal 2016 defense working capital funds. The contracting activity is the Defense Logistics Agency Troop Support, Philadelphia, Pennsylvania (SPE300-15-D-P276). The Boeing Co., St. Louis, Missouri, is being awarded a $14,630,235 modification to a previously awarded firm-fixed-price contract (N00019-14-C-0032) for the procurement of aircraft armament equipment (AAE) items in support of the F/A-18E/F and E/A-18G aircraft. The procured AAE items include 60 SUU-79 C/A wing pylons; 30 SUU-80 A/A low drag pylons; 30 ADY-773 A/A adapters, and supporting items. Work will be performed in Mesa, Arizona (72 percent); St. Louis, Missouri (16 percent); Minneapolis, Minnesota (10 percent); and St. Paul, Minnesota (2 percent), and is expected to be completed in June 2019. Fiscal 2015 aircraft procurement (Navy) funds in the amount of $14,630,235 are being obligated at time of award, none of which will expire at the end of the current fiscal year. The Naval Air Systems Command, Patuxent River, Maryland, is the contracting activity. Lockheed Martin Mission Systems and Training, Moorestown, New Jersey, is being awarded a $13,652,476 modification to previously awarded contract (N00024-14-C-5106) to exercise options for fiscal 2015 Aegis Modernization (AMOD) production requirements. This contract modification exercises options for production of Aegis Weapon System AMOD upgrade equipment for Navy Ticonderoga-class guided missile cruisers CG 65 (USS Chosin) and CG 69 (USS Vicksburg), and procurement of special tooling and test equipment to support the fielding of AMOD capabilities to the fleet. Work will be performed in Moorestown, New Jersey (55 percent); and Clearwater, Florida (45 percent), and is expected to be completed by July 2017. Fiscal 2015 other procurement (Navy) funding in the amount of $13,652,476 will be obligated at the time of award and will not expire at the end of the current fiscal year. The Naval Sea Systems Command, Washington, District of Columbia, is the contracting activity. L-3 Communications Corp., Communication Systems, Salt Lake City, Utah, has been awarded an $8,775,683 cost-plus-fixed-fee and cost reimbursable order (0001) under the basic ordering agreement contract FA8620-13-G-4051 for MQ-9 organic depot activation logistics support analysis. Contractor will provide comprehensive integrated analysis in order to establish organic depot maintenance and repair capability for all MQ-9 unmanned aerial systems reparable components. Work will be performed at Salt Lake City, Utah, and is expected to be complete by May 11, 2017. This award is the result of a sole-source acquisition. Fiscal 2014 procurement funds in the amount of $8,775,683 are being obligated at the time of award. Air Force Lifecycle Management Center, Wright-Patterson Air Force Base, Ohio, is the contracting activity.